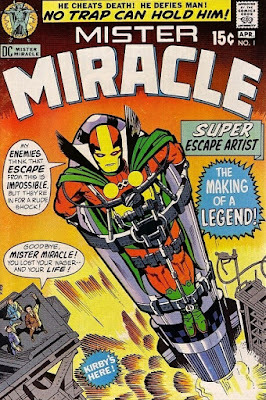 SNEAK PEEK: Close On "Mister Miracle"
"..a nameless boy became a pawn in a pact between 'Darkseid' and 'Highfather' in order to establish peace between the worlds of 'Apokolips' and 'New Genesis'. 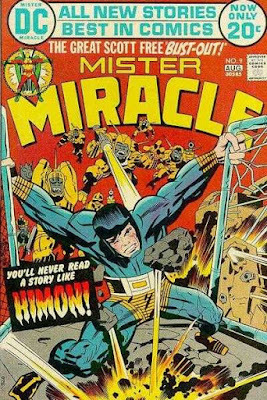 "He and 'Orion' were exchanged at birth to broker a treaty. Orion would live a life of enlightenment as a member of the 'New Gods of New Genesis', while Darkseid tried to crush and corrupt the boy at the 'Granny Goodness' orphanage. "But the boys' spirit would not be crushed and he resisted every attempt to break him. 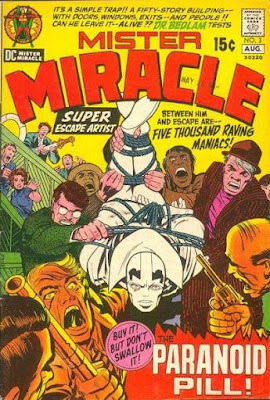 The training he received turned him into a fast thinker and exceptional athlete, fueling exceptional escape artist abilities. "He also journeyed outside the orphanage, where he met with the rebel 'Himon' and learned how to use the 'Mother Box'. 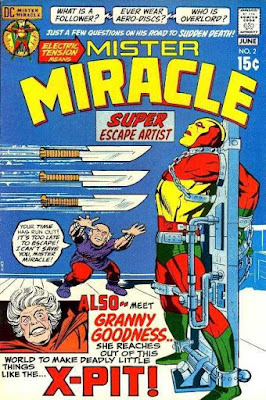 "After finally escaping Granny's orphanage, he realized he could escape anything, adopting the name 'Scott Free'. 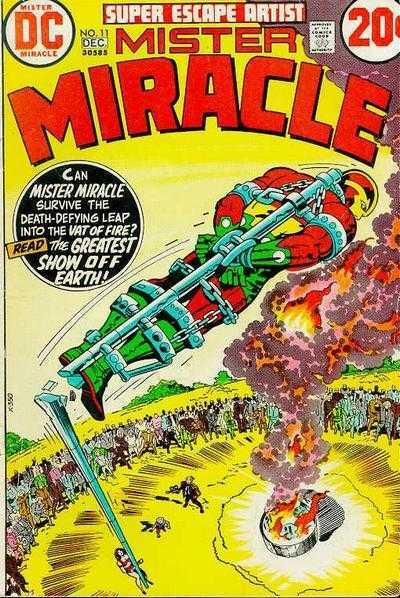 Scott then fled to Earth where he met 'Thaddeus Brown', a circus entertainer and escape artist whose stage name was 'Mister Miracle'. 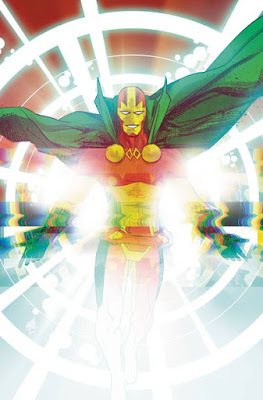 Scott also met 'Oberon', Thaddeus' manager. 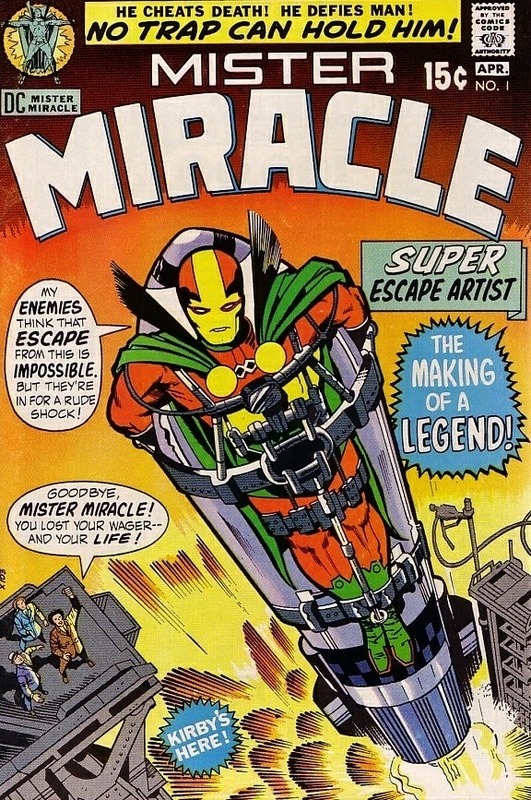 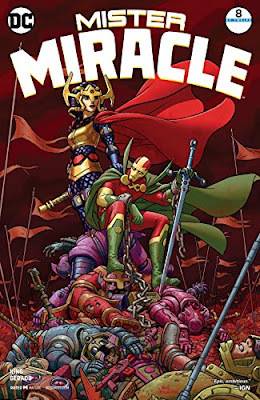 "When Thaddeus was killed and Scott solved the case, he assumed the mantle of Mister Miracle. 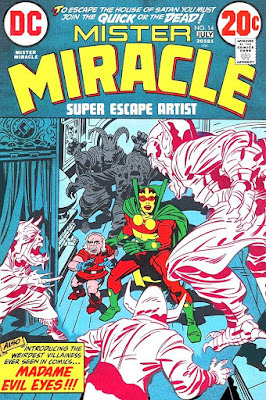 He was also soon reunited with 'Big Barda', a former 'Female Fury' who had also been a prisoner at the orphanage with the two becoming lovers and marry..."